This is an immensely fascinating work, published originally in 1968, which is of great value in understanding London’s past. The immediate background to the excavations was the bombing of London during the Second World War, which led to the destruction of more than fifty of the three hundred and fifty or so acres that make up the walled city. The interval before rebuilding was a magnificent opportunity for archaeological excavation. The Royal Society of Antiquaries of London established the Roman and Mediaeval London Excavation Council to organise an extended programme which began in July 1947 and went on until 1962. 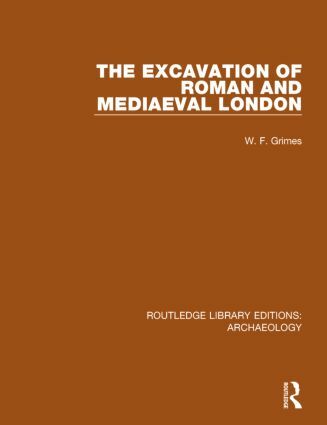 This volume reports on the major series of excavations and deals in detail with Cripplegate, the Temple of Mithras and many mediaeval churches including St Bride’s, Fleet Street.